I try to keep a close eye on the top free charts of the App Store, as that’s where you can find all the smash viral hit games like Flappy Bird and others that just appear out of nowhere and get downloaded millions of times because reasons. As anyone who has surfed the top charts knows, these games can vary widely in quality. Often times when you grab a game that’s charting well you have no idea if it’s going to be super cool, or weirdly janky. Well, I’m happy to say that Push & Pop is the former. 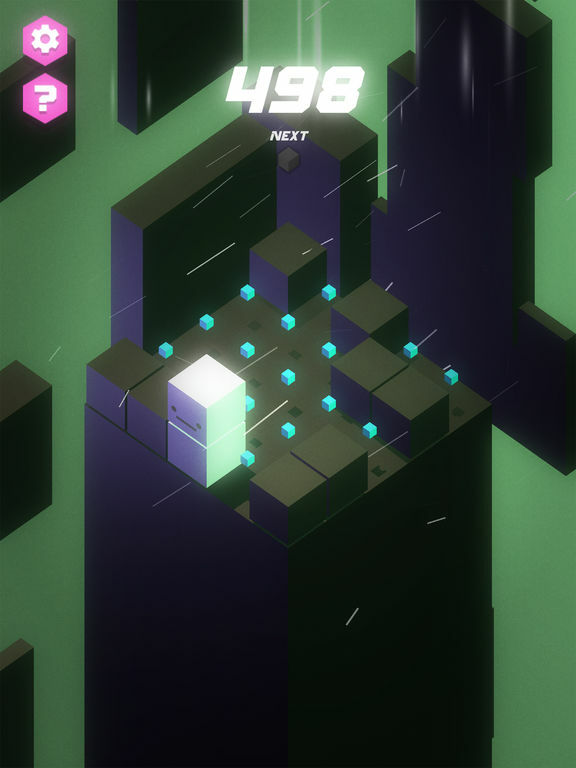 It combines a Tetris-like mechanic with Sokoban, and throws in an aesthetic that that reminds me a lot of games like Lumines. I’m not sure if it’s the music (by ??????) or the overall look and feel of the visuals, but I’m picking up a definite Lumines vibe here and I’m really curious if other people are feeling that too. 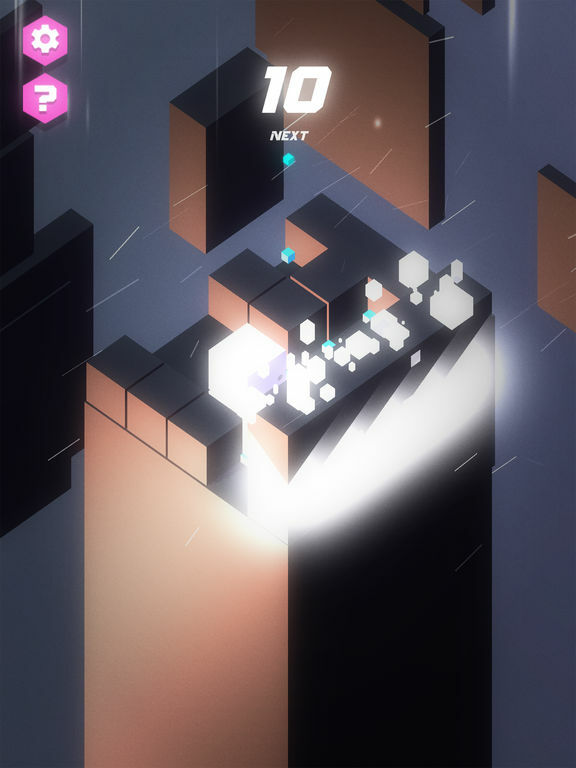 In Push & Pop you play as a stack of two white blocks and move in whatever direction you swipe. You will move until you hit the edge of the play grid and if there’s any blocks in the way you’ll slide them as far as they can go as well- Sort of like sliding cards in Threes ($5.99). When you manage to shove five blocks together in a row, they’re cleared off the board. With each move you make either another sliding block drops down, or tiny blue blocks that can be picked up to increase your score. There’s no timing component to speak of, so you can really analyze what your best move is going to be before you take it. The ebb and flow of dealing with the different types of blocks that fall down really creates an interesting wrinkle in gameplay (particularly as blocks that can’t be moved and their associated row-clearing abilities appear). You need to balance dealing with the dark blocks that get matched, but can’t ignore the smaller blue blocks or your score will suffer. Also, something that took me a while to figure out is that sometimes you just want to move back and forth in a corner to wait for blocks to spawn as on a 5×5 grid it’s very easy to get stuck. When you can’t make any moves anymore because you’ve blocked yourself in, the game is over. I’m absolutely sure that this gameplay concept is by no means original, just due to the sheer nature of how the App Store works, but for whatever reason tons of people are downloading it. For what it’s worth, I’ve been enjoying it a lot, so if you’re the kind of person who usually skips stuff in the top charts because there’s often so much junk there and in the process overlooked Push & Pop– This is definitely one to reconsider.